I have heard many songs, poems and speeches teaching us that terrorism has not place in Islam – but this one stands out. 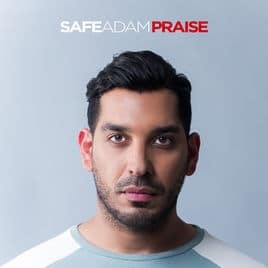 Safe Adam has again provided us with innovative delivery and a fresh track. When listening to the chorus, I could really feel the passion in his voice. The song starts out flat but quickly builds, taking the listener to another dimension. Safe was lucky enough to perform this song live on BBC (British Broadcasting Corporation) TV. I feel he has been successful in conveying the feelings of many Muslims around the world through this empowering track. For first time visitors to this site my format is simple. I review Nasheeds and call out references between the lyrics and Quran/Hadith. Before I begin I encourage you to buy this track. You can listen to a preview on Amazon and purchase directly from the site. The lyrics video has been released. It can be viewed on Safe’s Facebook page. Let’s now go through the lyrics, calling out references to Quran and Hadith. There are many verses in the Quran about both prayer and kindness. Anger can actually hold us back from entering the garden. Amazing song! This track has certainly helped me to reflect. The choice of lyrics combined with the passion in his voice has made this one of my favourite tracks from the album: Praise. Like Safe says in the song: Let’s pray for everyone around the world. IMH Rating: 50/50 – Full Marks!